Of course, no Mercedes-Benz is complete without plenty of luxury and technology. 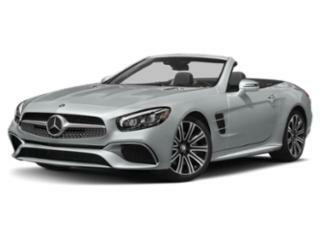 Mercedes-Benz has provided two versions of its convertible hard top — a glass version and an optional MAGIC SKY CONTROL version. The MAGIC SKY CONTROL roof can change its transparency at the push of a button, going from transparent to opaque at the whim of the driver. The whole roof retracts in less than 20 seconds. The emphasis on technology pays off particularly well when it comes to safety. All manner of traction control, stability control and anti-lock brakes are standard. The 2018 SL also comes available with the Mercedes-Benz PRE-SAFE braking system, which will automatically apply the brakes if the car senses a collision. Two-stage airbags, including head and thorax, are also standards, along with a couple of rollover bars. Active head restraints also help prevent whiplash — Mercedes-Benz boasts that because of these innovations, the SL is the world's safest roadster.